A wedding in Virginia&apos;s Blue Ridge comes complete with stunning mountain views and a unique culture that is sure to create cherished memories on your big day. The Roanoke Valley features a variety of fun activities and experiences for guests and, thanks to an extensive network of wedding service providers and professionals, planning the perfect Blue Ridge wedding is a breeze. 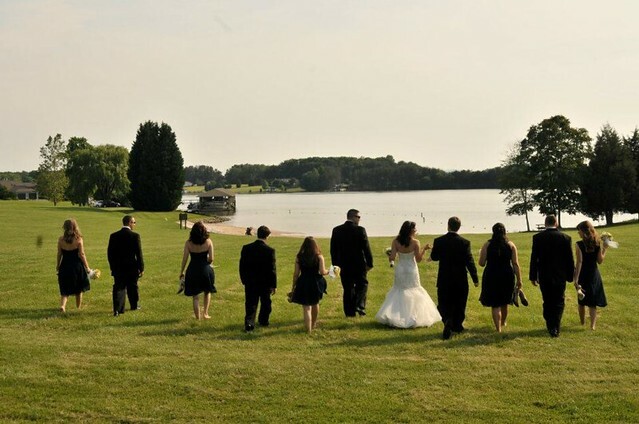 There are a variety of unique venues in Virginia&apos;s Blue Ridge that can accommodate any style of wedding, from a small, intimate gathering, to a large-scale party with hundreds of your closest friends! Regardless of the venue you choose for tying the knot, each will provide an inviting atmosphere where you can make special memories that will last a lifetime. However, to help you get started with the planning process, we&apos;ve put together a list of eight amazing wedding venues in Virginia&apos;s Blue Ridge! Take in the beautiful views of Smith Mountain Lake from the sunset cove at Bernard&apos;s Landing Resort & Conference Center. The resort offers an amazing wedding garden that overlooks the lake, as well as a gorgeous antebellum clubhouse and pavilion that features over 5,200 square feet of covered and open decks. Your wedding is the perfect experience to discover why Smith Mountain Lake is described as "The Jewel of the Blue Ridge." The unique spaces at Boxtree Lodge & Braeloch offer the special combination of rustic seclusion with the beauty of Downtown Roanoke skyline views and the surrounding Blue Ridge Mountains. Whether you&apos;re using the main lodge, patio, gardens, decks or gazebos, each option provides its own unique character and charming mountain experience you and your guests are looking for. In addition to producing award-winning wines, Chateau Morrisette is also one of the most popular wedding venues in the Blue Ridge Mountains. Located just off the Blue Ridge Parkway, the timber-frame winery building and the property&apos;s gardens and courtyards are set perfectly against the backdrop of the mountains. From an indoor boutique reception for a handful of guests, to a huge celebration on the winery&apos;s lawn, the professionals at Chateau Morrisette will help your dreams come true. A wedding at Roanoke County&apos;s Explore Park provides the opportunity to enjoy a space that offers over 1,000 acres of rolling hills and amazing natural beauty. 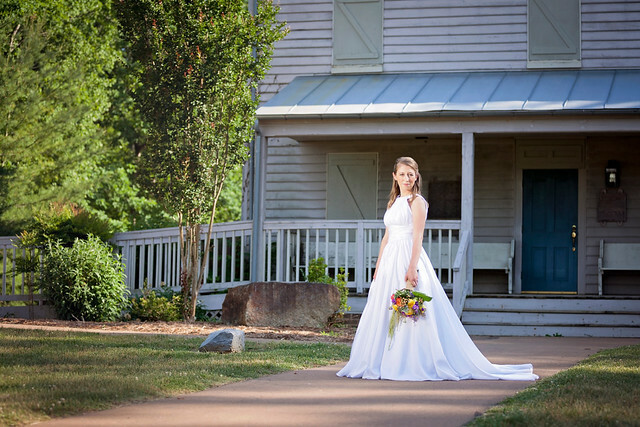 Considering the easy access to the nearby Roanoke River, intimacy of the outdoor lawn, and historic buildings, including the 1880s Greek Revival style church at your disposal, Explore Park is a venue that can accommodate a variety of styles. Imagine saying "I do" while overlooking a lake at the base of a mountain. This is the type of experience you can have at the Peaks of Otter Lodge, located at Milepost 86 on the Blue Ridge Parkway. The Lodge is a fantastic option for small, romantic weddings. The Blue Ridge Mountains and tranquility of Abbott Lake will create the perfect ambiance on your special day. Described as "one of Botetourt County&apos;s most distinguished properties," it doesn&apos;t take long to see why Santillane is on the National Register of Historic Places. With its special blend of history and Southern chic atmosphere, the gorgeous Greek Revival style plantation house has hosted weddings since the early 1800s. 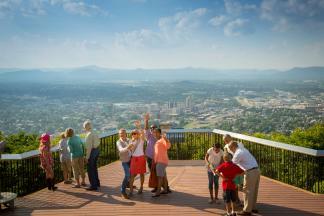 It&apos;s a stylish, elegant venue that highlights the beauty and charm of the Blue Ridge Mountains. 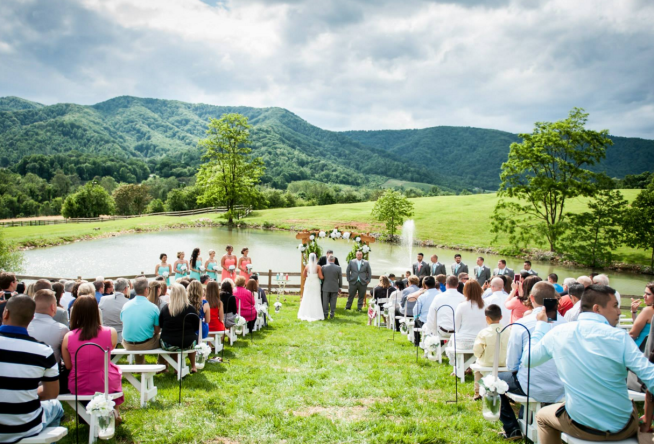 Located among orchards at the base of Cahas Mountain in Franklin County, Sundara has been recognized by numerous publications as one of the best wedding venues in Virginia, including The Knot and Virginia Living. Peace and beauty are found throughout Sundara&apos;s gardens, stone walls, towering trees, and the stream meandering through the property. Sundara offers a relaxing, elegant venue for your wedding. Wisteria Ridge Event & Conference Center provides a unique, secluded setting that captures the breathtaking beauty of the Blue Ridge Mountains. With gorgeous scenery that includes a waterfront arbor and rustic barn, the natural landscape serves as an amazing backdrop for a wedding in Virginia&apos;s Blue Ridge. Visit our Weddings section for more great information and resources about planning a wedding in Virginia&apos;s Blue Ridge, including a complete list of Wedding Venues in the region. 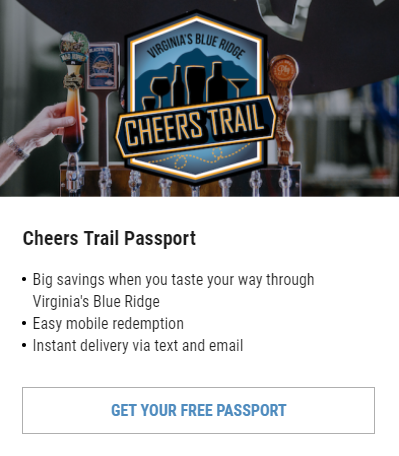 If you have questions, feel free to leave a comment on this post or reach out to us on Twitter at @visitvbr.